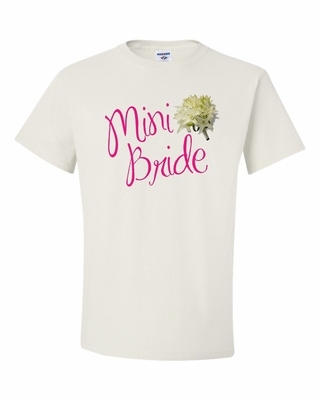 A perfect gift for the mini bride! She can proudly wear this t-shirt or sweatshirt knowing you have chosen her to be a part of your special day. Remember� you found the Mini Bride Shirt at TShirtHub.com, where high quality came at a low price.